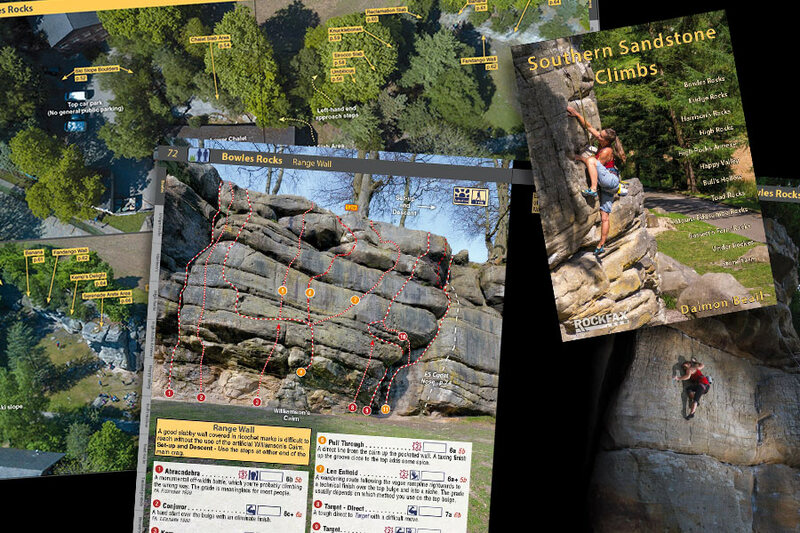 popular sandstone climbing found in the southeast of England. The more eagle eyed of you may have noticed the introduction of french grades as well as UK tech grades siting along side it. Guides are slowly leaning away from the traditional UK technical grading system in various forms, but this Rockfax guide will be the first to use the french grade in its entirety with UK technical grades siting along side to help people make the move to start working with french grades. The French grade now help tackle the growing issue concerning working with grades in the upper grading spectrum. This also helps climbers new to the sport and the area understand the difficulties of the routes, especially if migrating from climbing walls and help solve the age old problem of confusing the UK tech grade with the French grade. Bouldering has now moved to the font system which has been adopted heavily in the area and now throughout the UK. 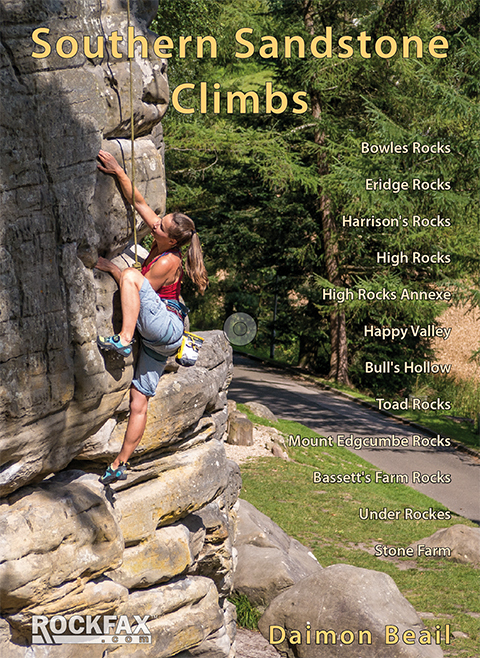 As highlighted in the Rockfax and UKC announcements, this book will cover all the main routes and boulder problems on 12 different crags using the familiar Rockfax style of big photo-topos accompanied by clear descriptions and inspiring action photographs. It has been put together by local climber Daimon Beail who also compiles the deep water soloing section of the Mallorca Rockfax guidebook. There are many new routes appearing here for the first time and additionally areas which are appearing in topographical form. There will be an expanded introduction to help deliver the much needed information to new and current climbers concerning best climbing practices. This has been done through photographic illustrations as well as in-depth explanations for those wanting to know more. It is due to be published in September and things are on schedule at the moment. The book is set to be around 500 pages and will be accompanied by an app version published at the same time.